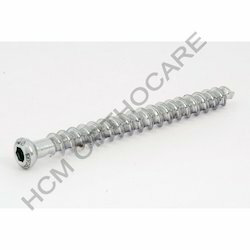 Exporter of a wide range of products which include cancellous screws 4.0 mm short thread, cancellous screws 16mm, fully threaded cancellous screws, 6.5 mm cancellous screws, cancellous screw 6.5 mm and 6.5 mm cancellous screw. 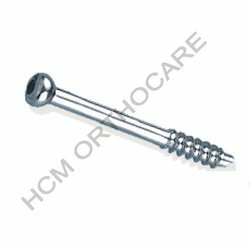 We specialize in offering an extensive range of superior quality Cancellous Screws 4.0 mm short thread. 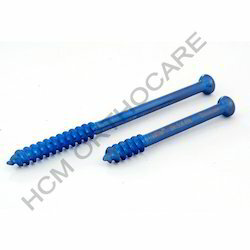 Screws offered by us are threaded carefully to match the requirements of surgery in case of cancellous bones. These are highly appreciated among the clients for its various features. Our range of product is highly demanded among the clients across the globe. 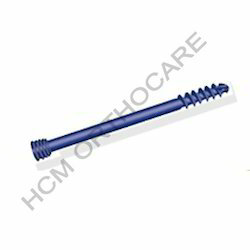 With the support of years of industrial experience, we offer a wide range of Cancellous Screws - 6.5 mm thread length 16 mm. These can also be customized as per the needs and specifications of our esteemed clients to satisfy their demands. 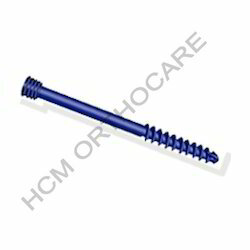 We are involved in providing an exclusive range of supreme quality 6.5 mm Fully Threaded Cancellous Screws. These are famous among the clients for its various specific features. Our range of product is available in various customize packing for its quick and safe delivery to our clients. Backed with industrial experience and cutting edge technology, we offer a broad range of Cancellous Screws 6.5 mm Thread. 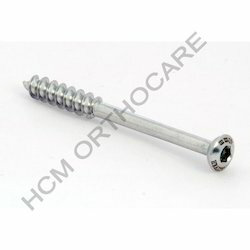 These widely find its applications in various hospitals, nursing homes to meets the requirement of orthopedic surgeons. We present an extensive range of Cancellous Screw 6.5 mm 16 mm Thread with Locking Head that are made from stainless steel: 35 mm to 110 mm (5 mm variation). Our range of product is closely examined by our experts on various required parameters to ensure its superior quality, durability, exact dimension and reliability. We are one of the reputed manufacturer and supplier of a wide range of Cancellous Screw 6.5 mm 32 mm Thread with Locking Head. These are made from high grade stainless steel: 35 mm to 110 mm (5 mm variation) and as per the required quality standards. Our range of product is available as per the specifications and needs of our respected clients. Looking for Cancellous Screw ?